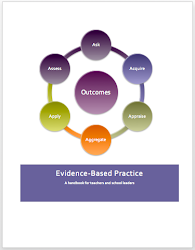 Evidence Based Educational Leadership: New : Teachers and performance related pay - what's the evidence? New : Teachers and performance related pay - what's the evidence? Having read the article – my first response was to ask: What research evidence is there to support the pay structure which has been put forward? Our meta-analysis clearly demonstrates that the task type moderates the effect of pay for performance on performance. Pay for performance has a strong, positive effect on performance in the case of noninteresting tasks. Pay for performance, however, tends to have a negative effect on performance in the case of interesting tasks. The vignette study reveals (a) why pay for performance sometimes undermines performance and (b) how pay for per- formance produces hidden costs, which also need to be accounted for. Which tends to suggest that in the context of teaching – a complex task if ever there was one (Shulman, 2004) - performance related may have a negative effect on performance and may ‘crowd-out’ intrinsic motivation (and associated discretionary effort. The results of rigorous evaluations, such as those with experimental trials or with well-controlled groups, suggest that the average impact of performance pay schemes has been just above zero. Some approaches appear to show more promise, such as bonuses or enhanced pay to attract teachers to challenging schools, or loss aversion, where the award has to be paid back if student results fall below a certain level. In addition, a systematic review by (Bajorek and Bevan, 2015) of performance-related-pay in the UK public sector who found. Factors that are significantly associated with intent to stay in the profession could be labelled as ‘protective factors’, worthy of attention among school leaders and policymakers. Evidence-based practice involves the conscientious, explicit and judicious use of the best available evidence – research, organisational data, practitioner expertise and stakeholder in order to make decisions which will hopefully lead to a favourable outcome. Given the nature of the evidence – the decision as to whether to proceed with PRP within a MAT is a judgment call. That said, in making that judgement one hopes that the decision-makers have undertaken an appropriate process of due diligence and have asked the following questions. Is the issue an important problem for which a remedy is sought and that can be locally implemented? How robust and secure are the different sources - research, practitioner expertise, stakeholder views and school data - of evidence? Does the balance of the desirable and undesirable effects favour the proposal or a realistic alternative? 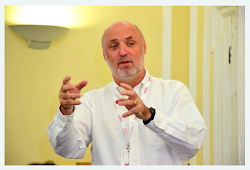 How large are the resource requirements – attention, time, money, professional learning? What impact does the decision have on educational equity? Will it help close gaps in attainment? Are there important ethical issues which need to be taken into account? Are there key stakeholders – teachers, parents, trustees, who would not accept the distribution of the benefits, harms and costs? Would the intervention adversely affect the autonomy of teacher, department, school or MAT? Are there important barriers that are likely to limit the feasibility of implementing the intervention (option) or require consideration when implementing it? Is the intervention or strategy sustainable? How strong is the recommendation ranging from a strong recommendation – where benefits clearly outweigh costs or vice versa, with consistent supporting evidence from research evidence, practitioner expertise, school data and stakeholders – without major limitations. Or is it a weak recommendation with uncertainty in estimates of benefits and costs Some supporting evidence from research evidence practitioner expertise – though with major limitations. BAJOREK, Z. M. & BEVAN, S. M. 2015. Performance-related-pay in the UK public sector: A review of the recent evidence on effectiveness and value for money. Journal of Organizational Effectiveness: People and Performance, 2, 94-109. EEF 2017. Teaching and Learning Toolkit : Performance Pay. London: Education Endowment Foundation. JONES, M. D. 2013. Teacher behavior under performance pay incentives. Economics of Education Review, 37, 148-164. LEIGH, A. 2012. The economics and politics of teacher merit pay. CESifo Economic Studies, 59, 1-33. LYNCH, S., WORTH, J., BAMFORD, S. & WESPIESER, K. 2016. Engaging Teachers: NFER Analysis of Teacher Retention. Slough: NFER. SHULMAN, L. 2004. The Wisdom of Practice-Collected Essays of Lee Shulman: Vol 1, ????? ?, Jossey-Bass. WEIBEL, A., ROST, K. & OSTERLOH, M. 2009. Pay for performance in the public sector—Benefits and (hidden) costs. Journal of Public Administration Research and Theory, 20, 387-412. The research is not favourable and the problem of measuring teaching performance fairly too difficult. I get a veto over who enters my senior classes...pay me by performance and I will start being very selective.